If we regularly use BitTorrent or µTorrent, then a fear always remain in our mind about the privacy and security. Don’t know you are aware with this or not but you should think twice before downloading Movies, Games, Softwares, and Apps via Torrent client. 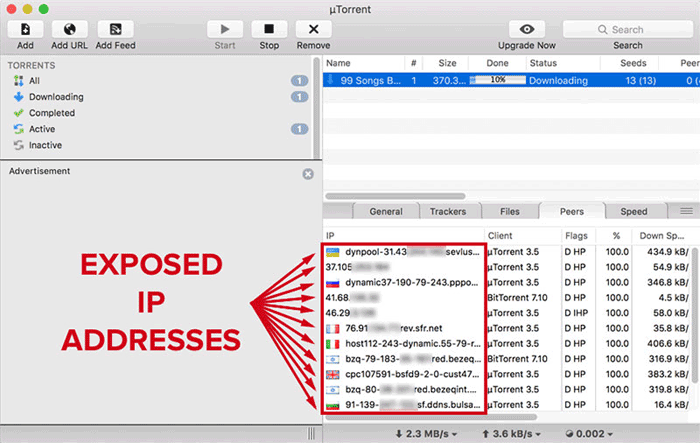 When you use any torrent client (BitTorrent or µTorrent), your real IP is exposed in the Torrent Network, so others can easily see your IP. It creates huge security issue because with the known IP the hackers can easily attack to your PC. Hence, You have only two ways that use an Online Torrent Downloader, or you should start using the Best VPN which support Torrent downloading & P2P File sharing. Torrent Downloading is one best way to share the file around the world via Torrent Client. And it has lots of advantage and disadvantage. 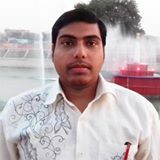 If we talk about the power, then its good advantage is the file you are going to download it is available on multiple computers, if any system goes down then Torrent client will automatically start downloading the parts from another Computer. So larger files can be downloaded much faster due to the availability of the many systems. But many times Torrents are used for the illegal purpose and pirated things like Movies, Softwares, Games, and Apps are only shared on the Torrent network. And people also use it for getting pirated content for free. Hence, in many countries, Torrent sharing is banned by the government, and this is okay because the company has to suffer a lot due to piracy. However, I don’t like to promote Torrents, but want to tell everybody that, if you do torrent sharing, downloading, uploading then you should care about your privacy and security. Why? Because over the Torrent Network your real IP is always exposed, and Hackers can easily use IP for attacking to your Computer. Therefore, if you want to protect your IP from exposing over the Torrent Network, then use the online torrent downloader sites such as Zbigz.com, seedr.cc, etc. These torrent downloader sites allow to directly download and store the torrent content into the created account and later you can use any downloading software to download the content into your PC eg: Internet Download Manager. But it will cost you more because these online downloader limits the files size and torrents and if you want to download a big file, then you should go for the paid plan. Another alternative is Virtual Private Network, and you can use a VPN to protect your real identity. It will mask your real IP & location and will work as a firewall. And when you connect your system to Torrent Network, then in the torrent only fake IP will appear. So nobody will know who are you and where you from? Using a VPN is cheaper than the online torrent downloader, and additionally, it will give you more protection on all over the Internet World. I had done research and found the following VPN services work best for Torrent & P2P file sharing. You can also take the free trial before making any purchase and all below VPN’s have 100% money back guarantee period. NordVPN has become now a top-notch VPN Service Provider. It provides almost all necessary features at a very affordable price, but they never compromise with the VPN performance and Security. You’ll get unrestricted torrent and P2P traffic without any restriction. It allows connecting upto 6 devices simultaneously under the 1 NordVPN account. A VPN Kill is present in the application to auto disconnect Internet, which helps you to protect your identity when your Internet Connection drops. NordVPN apps are available for Android, Windows, MacOS, iOS, Android TV, Linux, and extension for Chrome and Firefox Browser. If you want to try NordVPN, then you should take 3 days free VPN Trial Offer. And also you should not need to worry because it gives 30 days money back guarantee. Check More About: NordVPN Features. IPVanish offers an excellent VPN service, on which a lot of user trust. It is true Top level VPN service provider on the earth, who gives the best privacy protection in the extremely competitive pricing. IPVanish has over 40,000+ IPs and 1,000+ servers in 60+ countries. Which is more than what you need? It gives unlimited Torrent speed & enhanced security. It allows 10 simultaneous connections to VPN service per account. A VPN kill switch option is also available with IPVanish VPN, whenever VPN connection drops then the VPN software will automatically completely close the Internet connection as well. So, no one will be able to know who is downloading Torrent and from where. You can easily use IPVanish on Android, Windows, MacOS, iOS, Linux, Fire TV Router, and Chrome extension. It has 7 days money refund policy, so after purchasing any VPN plan from IPVANISH, if you found any lack in the server, then you can ask for money back within 7 days. Know More About: IPVANISH VPN. ExpressVPN is another Top tier VPN service, which offers unlimited P2P & Torrent. It is loaded with 2,000+ VPN servers in 94+ countries. So you’ll never face slow connectivity issue in ExpressVPN, due to higher server availability. And you’ll surprise when you know that it provides the apps for Windows, Android, Mac, iOS, Linux, BlackBerry, Router, Chrome Book, Kindle Fire, Nook, and browser extensions for Chrome, Firefox, Safari. Additionally, it offers the MediaStreamer for consoles and smart TVs: such as PlayStation, Xbox, Apple TV, Nintendo Switch, Amazon Fire TV, Samsung Smart TV. So wherever you need the Virtual Private Network, ExpressVPN is available there. Its auto Kill Switch feature prevents privacy leak, if VPN connection fails, then Kill Switch will completely shut down the Internet. With the 30 days refund back policy, your spent money will remain into your hand, even after purchasing any plan. So you can go for the service without worry. These three VPN providers work day and night to serving world-class service. If you face any connectivity or other issues, you will get faster response and problem solution with 24X7 technical support. So you’ll remain happy and safe while doing torrent downloading and P2P file sharing.